Krystal Jean Lee Kenney, 32, of Idaho, pleaded guilty Friday morning to one count of tampering with physical evidence in connection to the case of missing Woodland Park mom Kelsey Berreth, 29. 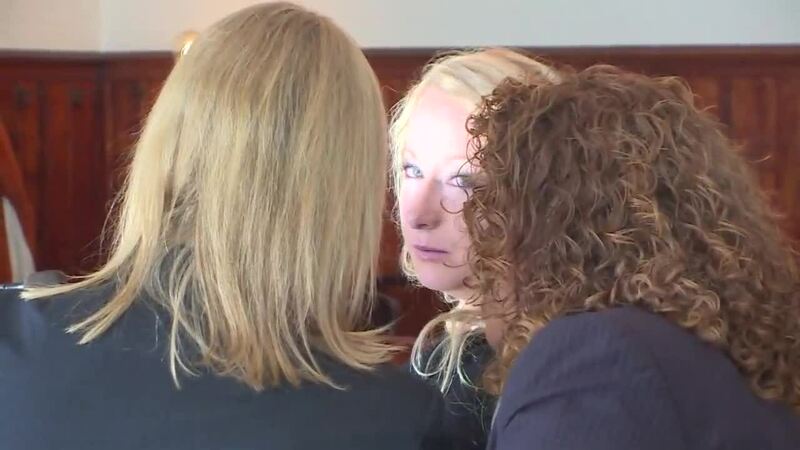 TELLER COUNTY, Colo. — Krystal Jean Lee Kenney, 32, of Idaho, pleaded guilty Friday morning to one count of tampering with physical evidence in connection to the case of missing Woodland Park mom Kelsey Berreth, 29. The criminal complaint accuses Kenney of tampering with evidence on Nov. 24 or Nov. 25, or both. The tampering charge is a class 6 felony. In Teller County court Friday, Kenney agreed to testify in the trial of Patrick Frazee, Berreth's fiance who is accused of murdering her. Kenney will face her sentence after Frazee's trial and is not allowed to talk to media. She could face penalties ranging from probation to three years in prison. She is not in custody and was not arrested, but is required to keep in touch with the court, said Fourth Judicial District Attorney Dan May. Authorities told ABC News that they believe Kenney may have disposed of a cell phone belonging to Berreth. On Jan. 2, ABC News reported that investigators had started to investigate if a 32-year-old woman from Twin Falls, Idaho — who was later identified as Kenney — had gotten rid of the phone. Berreth was last seen on surveillance video in Woodland Park on Thanksgiving in 2018. A few days later on Nov. 25, her phone pinged in Idaho. Kenney's family members told ABC News that Frazee threatened her life, and that was why she helped him dispose of the phone. Authorities haven’t released information on how Kenney and Frazee know each other. On Dec. 22, 2018 police in Twin Falls, Idaho said they thought they had found possible evidence in connection to the case, though it’s unclear what that evidence was, or if it’s connected to Kenney. 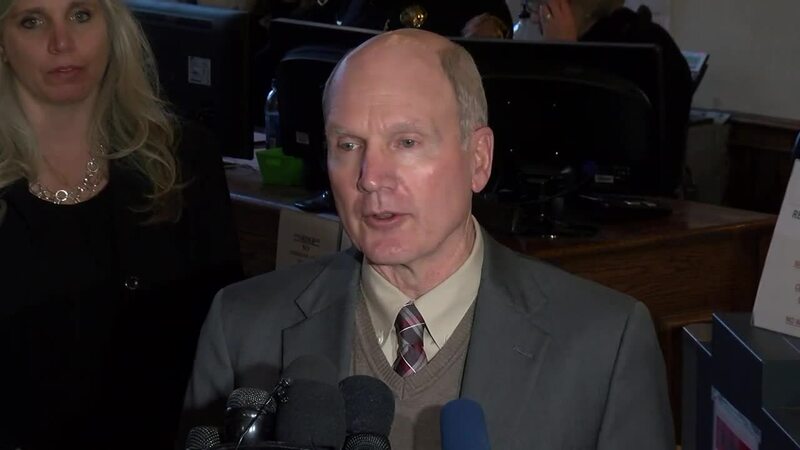 During the investigation, both Berreth’s home in Woodland Park and Frazee’s home in Florissant , in addition to a landfill in the city of Fountain , were searched by authorities. Frazee was arrested on Dec. 21 and was formally charged with murder 10 days later. Authorities said they do not believe Berreth is alive. In addition to two counts of first-degree murder, Frazee was also charged with three counts of solicitation. He has a preliminary hearing on Feb. 19 at 9 a.m.
On Jan. 4, Berreth's parents filed a wrongful death lawsuit against Frazee, seeking an unspecified amount for the couple's grief and suffering. A few weeks later on Jan. 28, the Frazee's attorney filed a motion in federal court, arguing that the lawsuit should be dismissed because the couple doesn't have legal grounds to sue. A judge decided in December that Berreth’s parents would get temporary custody of Frazee and Berreth’s 1-year-old child, though the Teller County Department of Human Services retained legal custody. While Frazee's mother filed to intervene for custody of the child, the court decided on Feb. 7 that the child will stay with the maternal grandparents. The next custody hearing is scheduled for April 4 at 8:30 a.m.